The client, a data protection and cybersecurity solutions provider, was building a Data Loss Prevention solution that locates, identifies and manages regulated data across networks – local, remote, mobile or in the cloud. An important component of this solution was an enterprise reporting system hosted in the cloud. 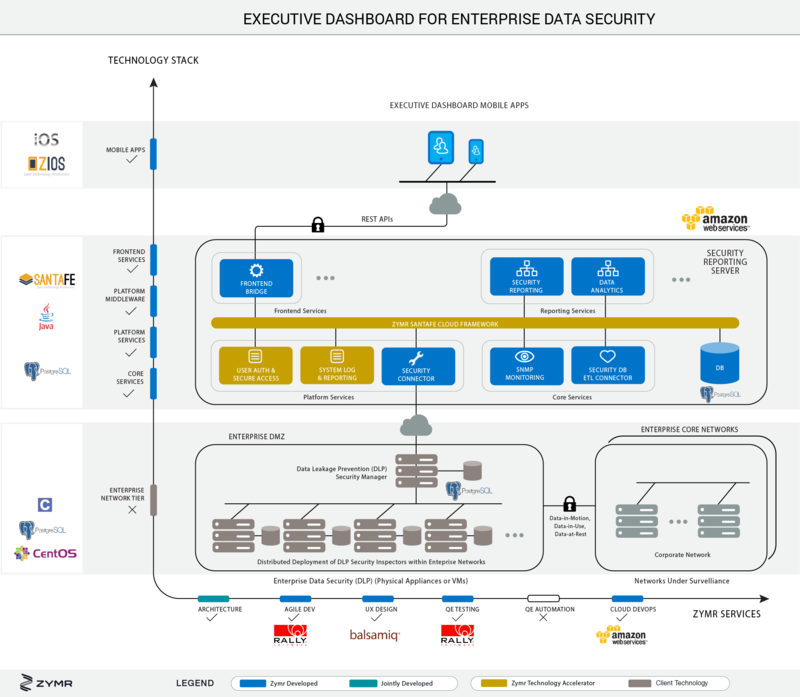 The client was seeking a technology partner who could not just develop the reporting system in the form of mobile apps, but also ensure that the reporting servers connected securely with the existing enterprise data security system manager to extract relevant metrics, while having zero impact on existing security products. Additionally, the reporting system was expected to de-identify all sensitive data to meet compliance requirements, and analyze security reports using big-data analytics algorithms to create vulnerability reports and trend analyses. Zymr won the account due to its domain expertise in networking and big data analytics, and deep understanding of cloud security. Zymr built an executive dashboad CloudTech app for iPad, which provided 360-degree visibility for securing enterprise data to CSO/CTOs. The customer leveraged Zymr’s SantaFe cloud middleware framework to reduce time to market and development risk. This provided a solid extensible framework with common cloud platform services. Zymr developed core services using Java. Zymr developed a comprehensive PostgreSQL reporting database. Zymr prototyped some big-data analytics of security incidents using Amazon Elastic MapReduce. Advanced analytics is planned for next phase. Zymr provided comprehensive UX design services for iPad and iPhone native mobile apps. 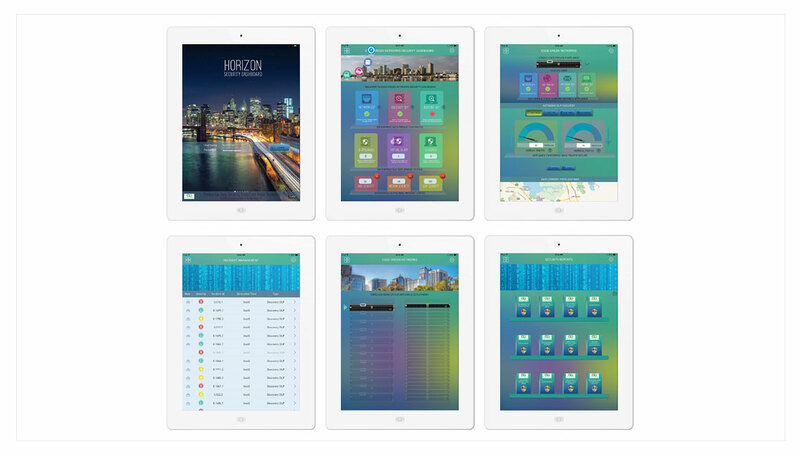 Zymr developed iPad and iPhone native apps, leveraged a few publicly available controls, and developed other custom controls. Zymr developed a Jenkins and Maven based CI process. Used Git for software repository. Zymr provided extensive QE and end-to-end testing services. QE Automation is planned for the next phase of this engagement. Zymr provided comprehensive services that included the ability to deploy on Amazon AWS with secure VPC and site-to-site IPSec VPN, data encryption and cloud monitoring services. Zymr developed an enterprise mobility reporting system, with dashboard iOS apps on iPad and iPhone, that connected securely with the existing enterprise data security system manager to extract relevant metrics. Utilizing ETL processes to gather vital data, the Zymr team delivered apps that provided an executive dashboard and reporting capabilities, and an operational interface to handle incidents.